The Establishing Shot: See the absolutely gorgeous new UK Trailer & Poster for Kar Wai Wong's double Oscar nominated The Grandmaster In cinemas 5 Dec - WATCH THIS! See the absolutely gorgeous new UK Trailer & Poster for Kar Wai Wong's double Oscar nominated The Grandmaster In cinemas 5 Dec - WATCH THIS! 6 years to plan, 3 years to make, including a year in editing, backed by The Weinstein Brothers, championed by Martin Scorsese and finally the UK gets to see Kar Wai Wong's double Oscar nominated Kung Fu epic The Grandmaster In cinemas from 5 December. Focussing on the legendary Yip or Ip Man, a real person who lived a life that could quite easily be compared to that of Batman's Bruce Wayne. Born into wealth Ip Man dedicated his life to mastering Kung Fu and in real life became a Policeman to protect and serve. A legend was created from his skill. An inspirational legend so ingrained in Chinese culture that he is as beloved a century on as David Beckham is today. Along the way he becomes The Grandmaster of Kung Fu as we know it today and included the magnificent Bruce Lee amongst his students. Ip Man is so beloved that in the last 10 years there have been two other Ip Man films and a TV series. 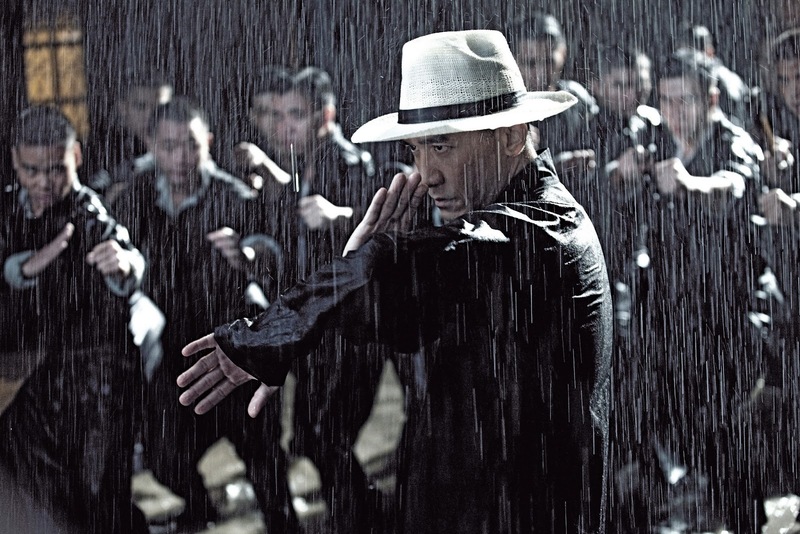 To lump The Grandmaster in with other tales of martial Arts would be mistake as Kar Wai Wong set out to create a masterpiece of the genre and brought in the talents of a team at the top of their game to make sure his vision is brought to life on screen. 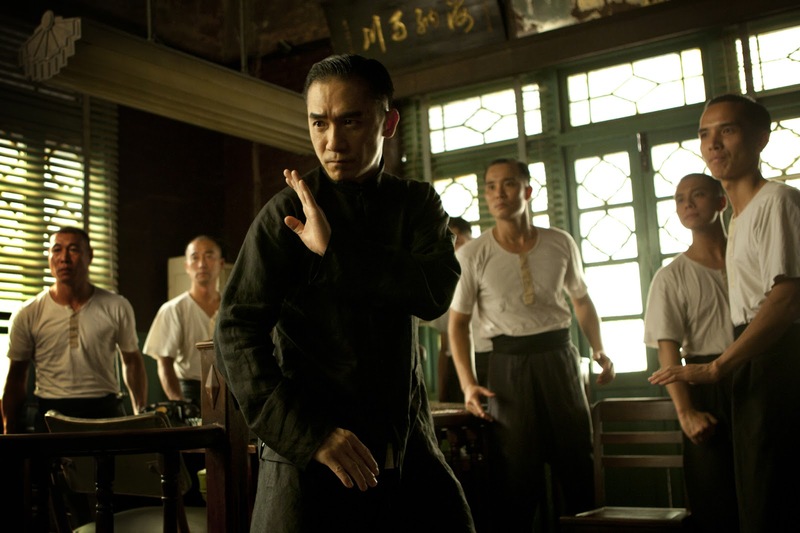 It begins as the story of Ip Man (Tony Leung), the legendary teacher of Bruce Lee and a master of the Wing Chun school of kung fu. It becomes the portrait of a bygone era and a lost world. Ip Man was born in Foshan, in the south of China, to a wealthy family. His wife Zhang Yongcheng (Song Hye Kyo) is the descendant of Manchu nobility. Pursuing a single-minded passion for Wing Chun, Ip Man is often seen at the Gold Pavilion, an elegant brothel that serves as a meeting place for Foshan’s kung fu masters and whose women possess a few martial arts secrets of their own. In 1936, China is experiencing political turbulence and the threat of division. The Japanese have invaded the northeastern provinces collectively known as Manchuria. Grandmaster Gong Baosen (Wang Qingxiang), whose home is in Japanese-occupied Manchura, and who is the leader of the martial arts world of Northern China, arrives in Foshan. He had been to Foshan previously to initiate exchanges between the martial artists of the North and those of the South but this time he has come at the invitation of the Southern masters to hold a ceremony at the Gold Pavilion to celebrate his impending retirement. An integral part of the ceremony involves a challenge and display of martial arts skills with a younger man. During a similar ceremony held at home in the Northeast, Gong’s disciple and successor Ma San (Zhang Jin), a Xingyi master, performed this role. Master Gong’s daughter Gong Er (Ziyi Zhang), who is the sole inheritor of her father’s lethal Bagua-style ’64 Hands’ technique, also arrives in Foshan to witness her father step down. It is here where she encounters Ip Man. Who is qualified to take up the Old Master’s challenge? Challenge leads to challenge, and masters contest masters. Meanwhile, the ongoing Japanese occupation of the Northeast sets the stage for a betrayal that will shake Master Gong’s world. It will also cause Gong Er to make a decision that will change the course of her life. Gong Er and Ip Man meet again in Hong Kong in the 1950s; a new world populated by old alliances, lasting grievances, and fragments of past lives and desires. Ip Man, despite having lived through difficult and terrible times after the Japanese invaded Foshan, will not be defeated by hardship. He opens a school for Wing Chun in Hong Kong and soon acquires devoted disciples (including, in reality, Bruce Lee) and popularizes this form of kung fu: it has spread throughout the world and remains popular to this day, taught in countless schools all over the world. Shot by French Director of Photography Philippe Le Sourd and with art direction by Wong’s long-term collaborators William Chang Suk Ping and Alfred Yau Wai Ming, THE GRANDMASTER represents a new chapter in the martial arts genre and in Wong Kar Wai’s own stellar career. Some see to recover what is rightfully theirs. Some wish to penetrate the arcane mysteries. Some light fires and some light lamps to show the way forward. Kung fu: between a horizontal and a vertical, dis honour and glory. An era: between the rise and fall, exile and reunion. The Establishing Shot: SEE THE ABSOLUTELY GORGEOUS NEW UK TRAILER & POSTER FOR KAR WAI WONG'S THE GRANDMASTER IN CINEMAS 5 DEC - WATCH THIS!